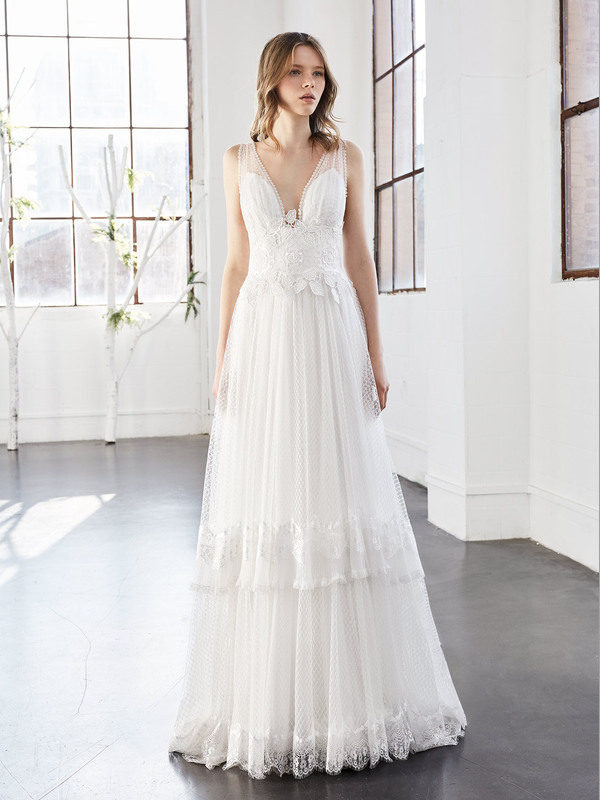 Dress in tulle chiffon with two-tier skirt separated by a gathered tulle ruffle and lace edging. The body includes a broad neckline and a slight drape in the chest area. Embroidery on waist and neckline.